Nice, light tent. It is easy to set up, even in the dark. Quick setup is helpful when it is raining. I've used this tent on a number of week-long hikes on the AT and LT. I've never been in a big downpour, but it has kept me dry in normal rain. It is quick and easy to set up. If you are by yourself, there is plenty of room in the alcove to keep your pack dry. Space might be tight if it is raining. 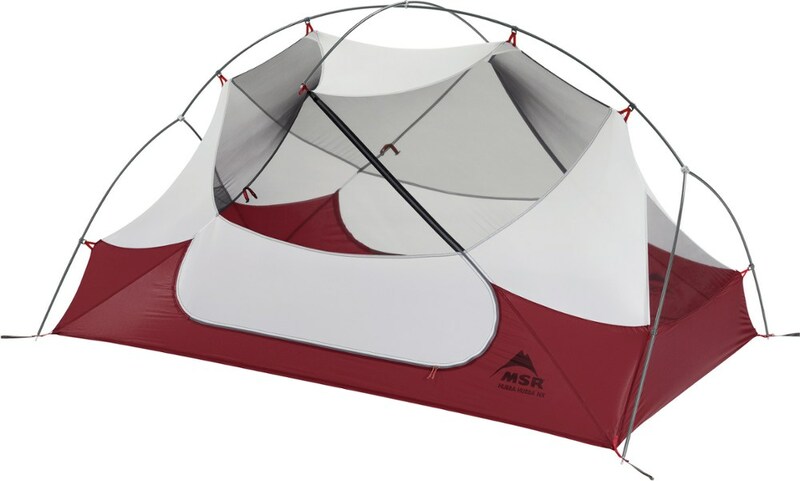 The tent is well designed and versatile. Very spacious for two and could sleep a family of three. This tent is very versatile. Without the rainfly you can zip up all the vents and have a semi waterproof shelter in mild conditions. If the weather is nice, unzip all the vents and the roof and you have a bugproof shelter that makes it seem like you are sleeping under the stars. Tent is spacious. I bought it for my wife and I to use with our small boy and we fit well. The design is very sturdy and easy to set up. Owned for 1 season. Used about 50 times. Loved - room to sit up, vestibules, ease of setup, ventilation, size. Hated - durability. Seams between zippers and tent material have ripped in numerous places. Very weak. Bottom line, why would I want a tent with holes in it? First time with Mountain Hardwear - never again. I've had this tent for 4 years and use it for motorcycle trips that last 6 to 8 days. 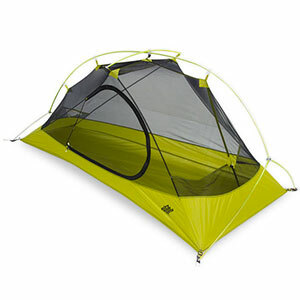 This tent is very easy to setup and take down. I am almost 60 and 5'7" and it is very roomy for me and my gear. Zippers and overall construction are excellent. After 4 years this tent seems like new. I'm planning on buying another one for my 22year old son. I have had my Hammerhead for over a year now and it has kept me warm and dry through many a dreary night. 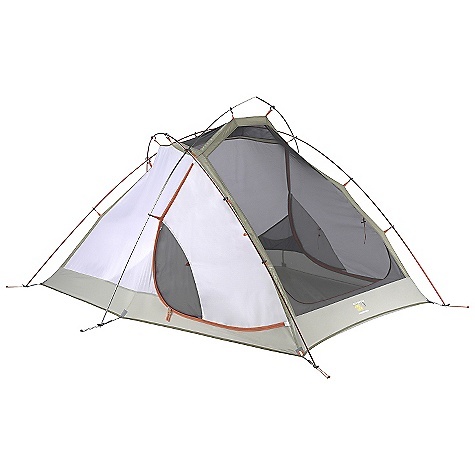 When pitched tautly this tent can withstand heavy winds and precipitation. I have also found that when all mesh panels are zipped up the Hammerhead makes a winter worthy shelter for two. From an early season blizzard in Glacier Park to 40 mph winds blown of of Lake Superior in the Porcupine Mountains, this tent has proved itself worthy. I agree, 7 lbs. is a lot of weight, but I rather be safer overall and comfortable at night than take a few lbs off the back. Isn't that what Excedrin is for? Great tent for two with plenty of room. Easy fast set-up. Camped Shining Rock in high winds and rain, stayed dry and secure without any additional tiedowns. The extra headroom is nice. Ease of Setup: Very easy, clips all around. Weight: About 7 lbs carry weight. Overall, a super tent. I got it for car-camping, and have slept in 15 degree temps and high winds -- snug as a bug, without any guylines. On warm nights without the fly, ventilation is superb. I would use it for backpacking if I didn't have to carry too much water (desert) -- great quality and functionality. Very strong and secure, could handle a fair amount of snow, although I haven't been in a snowstorm yet. The vestibules are large enough for a good-sized pack and boots. Tent is great for one or two people. I'm pretty tall so the headroom in the tent is a must when you are stuck inside for a day or so. Used it extensively for two years now in almost all conditions you can imagine with no problems. It is a bit heavy for one person on 7 plus day hikes. 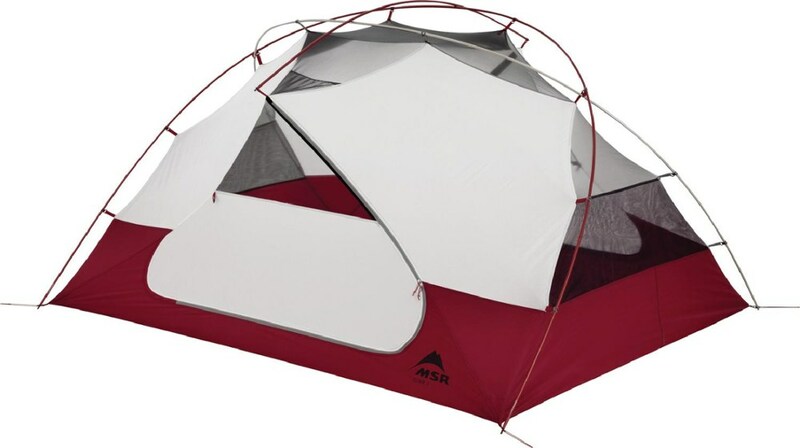 Great design and materials used just like any other Mountain Hardwear tent out there. But honestly ... do you want to carry 7 lbs???? I sure as heck don't. 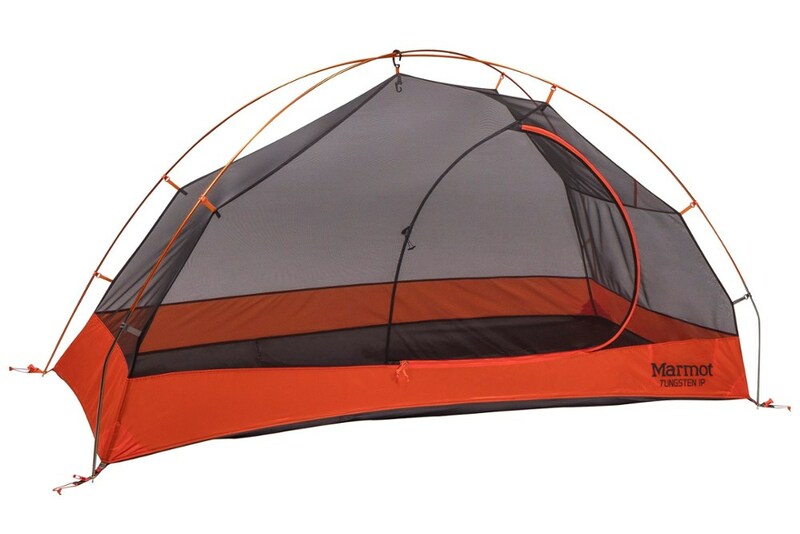 If you're looking for a great tent that is also light to carry anywhere, do yourself a favor and look at the Moutain Hardwear Haven 2. 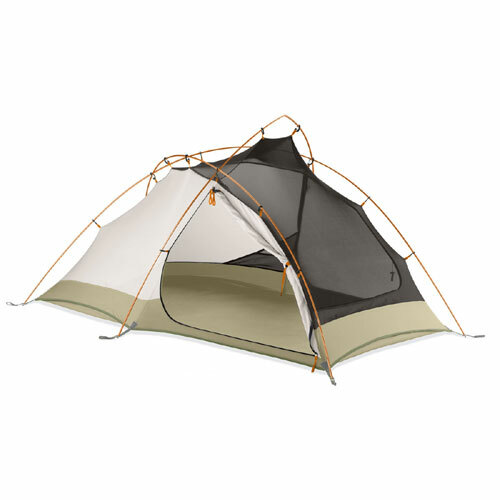 This tent is great for car camping or anyone looking for a tent that can be used in winter. (All the mesh inside the tent can be covered up and it pretty much converts into a 4-season tent). Design: Three season free standing dome tent. An avid backpacker, I've searched long and hard to find a tent to meet my needs. This tent was everything I was looking for. If you want to go ultra light, this tent might not be for you. However this tent will keep you dry and comfortable with all the headroom and the ability to keep your gear close and dry under the spacious vestibules. I was pinned down in this tent in the High Uintas just under 11,000 feet in elevation durig a torential rain storm that lasted over 8 hours. I could see the rain running under the tent but I was dry inside. 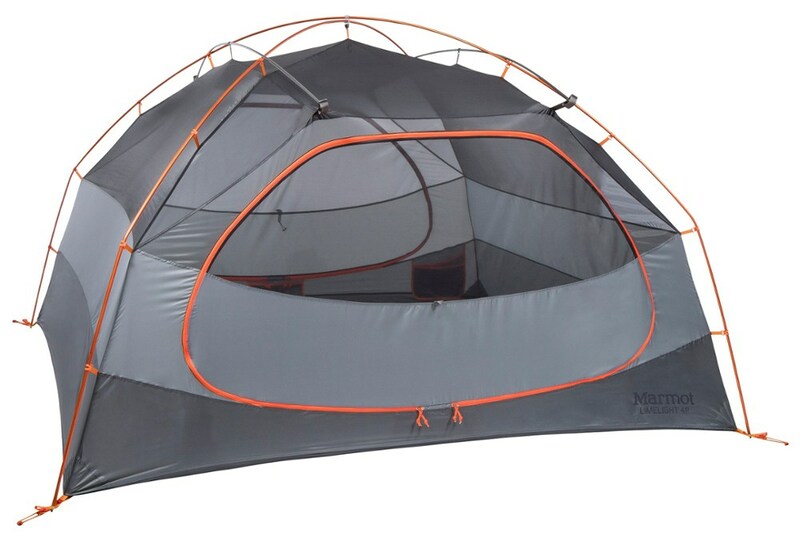 the fact that you can open and close the inner pannels on this tent also allows you better control over condensation and provides better ventilation than other tents I've tried. You'll have no regrets on this one. Ease of Setup: Doesn't get any easier! I did all the online research and asked what the locals thought before buying this tent. It was a waste of time, let me tell ya. This tent is incredible. Everything you read about this tent is true. Excellent room both in the tent and in the vestibules. I had no problem stowing all my gear, nor did I have any problems moving around or changing clothes inside. The weight? Man up!, It's just over 6 pounds! I've had my Hammerhead for almost two years and I absolutely love its room, easy setup and ability to shrug off anything Mother Nature throws its way. My favorite feature is the rainfly/vestibules – this tent is 100% waterproof and has 12 cubic feet under EACH cavernous vestibule. I've had this tent in a range of environments including the Olympic Coast in driving rain, at 7,000 (above tree line) in very strong winds, the heat of the Big Bend deserts and snow camping in December on top of Rainier. Given its 3 pole design (easily handling 12" of Rainier snow) and zippered fabric that covers all the netting I consider it a 3.5 season tent. There is a ton of internal pockets and headroom galore. With a nice view of stars through it’s ceiling no-see-um. The only downside/tradeoff is the weight, close to 8lbs, which results in me having second thoughts about carrying it on trips over 3 days. I have, however, recognized with 2 people it’s only 4lbs and that’s for a luxurious stay. I waited over a year to write a review so I could put this tent through its paces. Wind/rain in Mexico, steady drizzle in the Olympic National Forest and heat...well, in many places. The Hammerhead held fast during a freak storm on a beach in Mexico. The tent stayed dry during the pounding rain and only rattled against a heavy wind. It's a snap to set up. Two doors and vestibules make entering/leaving and storing gear easy. Plenty of headroom for sitting up or shifting indoor gear. A huge plus during nice weather is the overhead mesh which gives an unobstructed view of the sky. I have yet to stay in a tent that compares to this feature. In addition, the mesh provides excellent ventilation in warm climates. Indoor panels zip easily into place should it start to drizzle. The only drawback is its weight (slightly over 6 lbs. ), if you are hoping to go light, but you'll be glad you hauled a couple extra pounds if a storm rolls in unexpectedly. Solid tent. I recommend it highly. The Mountain Hardwear Hammerhead 2 is not available from the stores we monitor. It was last seen January 5, 2018	at SunnySports.